SHANGHAI, Dec. 7, 2018 /PRNewswire/ -- NEX China, co-organized by UBM Sinoexpo and a supporter of the China's extract industry for 10 years since its founding, will take place again in Hall E4-E5 of Shanghai New International Expo Centre (SNIEC) on June 18-20, 2019. In response to the flourishing of the international natural extract industry and resource advantages of China in the animal and plant extract field, the exhibition will be expanded to 20,000m2. At the event, Chinese and overseas quality extract enterprises will appear with their innovative products. Forums and workshops related to natural raw materials will be held concurrently on site, to share information about global regulations and analyze the hottest exported varieties and application trends of natural plant extracts, so as to provide multiple solutions for the plant extract enterprises during the move toward transformation and innovation. With the improvement of people's living standards and the transformation of consumption structure, the focus on diseases has shifted from simple treatment to prevention in recent years. Plant extracts, as the core raw materials and products of biopharmaceuticals, have been widely applied in botanical drugs, food additives, functional foods, health foods, and cosmetics, etc. Biopharmaceuticals have developed rapidly in the 21st century. Under new medical models, active and functional plant extract products have gained worldwide favor and broad market potential. Meanwhile, the continual introduction of favorable and industry support policies in China enables the industry to rapidly develop; the plant extract industry market size in China is expected to reach RMB 24.9 billion in 2018, and to exceed RMB 34.1 billion by 2022. The plant extract industry will become a new strategic key industry in China's economy and social development in the future. 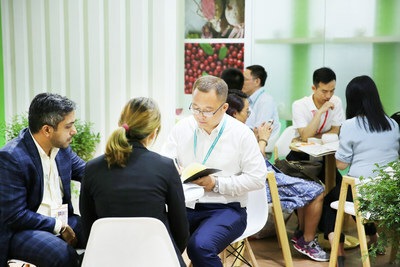 NEX China, a leading exhibition in China's plant extract industry, has comprehensively gathered top enterprises of the industry, with the exhibitors expected to reach over 600 in 2019. In addition to the nearly 100 enterprises from Shaanxi, one of the birthplaces of plant extracts, including Acetar, Shaanxi Jiahe, Shaanxi Huike, and Xi'an Yuensun, there will also be leading plant extract enterprises from Hunan, including ACE Biotechnology, Hunan NutraMax, Hunan Huacheng, and Changsha Huir, to jointly explore the new development trends of the industry. The China Chamber of Commerce for Import & Export of Medicines & Health Products (CCCMHPIE) has successively introduced four standards in recent years to promote the industry to gradually become normalized, driving product quality improvement and launching more advanced products and technologies at NEX China. In the exhibition this year, CCCMHPIE officially released the 2018 edition of the Plant Extract International Business Standard, which has further promoted plant extract enterprises to constantly improve extraction processes and technology to deal with industry transformation. It will normalize plant extract exports and increase China's international competitiveness, and also bring new opportunities and challenges to the plant extract industry. 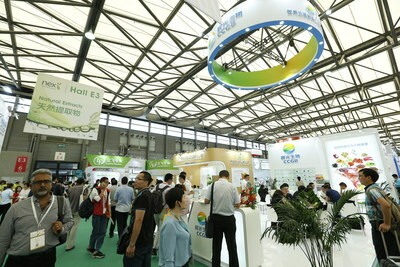 The 2019 exhibition will present diverse innovative products and technologies to buyers of the plant extract industry. For example, the technological innovation and R&D of Dongming Growth have achieved leaching of active ingredients of natural plants under low temperature conditions using ultrasonic counter-current extraction technology, which fully protects the activity of active ingredients in plants, and enables products to possess good physical properties; Xi'an App-Chem has extracted stachyose from rhizomes of Stachys sieboldii using water, which is sourced from traditional vegetables, is green and safe, has very low sweetness and calorie, and has been permitted to be used in food in many countries. NEX 2018 was extremely popular and attracted 60,744 visitors from 120 countries and regions together with the concurrently held CPhI China, growing by 10% over 2017; in particular, the number of overseas visitors showed explosive growth, reaching 15,329 and growing by over 50% over 2017. The numerous exhibitors expanded their stands due to the good exhibition results. NEX China 2019 will expand to cover the entire E4 and E5 Halls of SNIEC, to meet the participation demands of more enterprises. 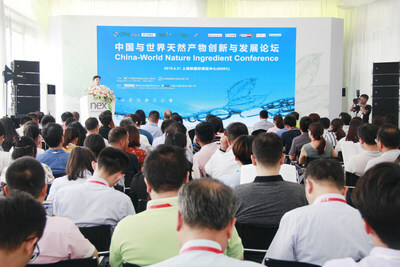 The host will also hold many quality conferences and activities: China-World Natural Ingredient Conference 2019 will continue to analyze changes of global regulations, track standards of the United States Pharmacopeia, feel the pulse of the industry, and provide guidance for enterprises; NEX High Quality Suppliers Gallery will showcase quality plant extract suppliers that pass GEP certification and products thereof, to offer more display opportunities to Chinese quality extract plant enterprises and have more Chinese and overseas professional visitors understand the strength of Chinese enterprises; the host will also hold the Seminar on Innovative Technology for New Raw Materials in association with quality Chinese media, for in-depth conversations on new standards, new technologies, and market applications, etc., of new raw materials; furthermore, NEX China 2019 and the concurrent HNC 2019 will jointly hold the 2019 Health Product Buyer Matching Meeting, to achieve maximum resource integration, furnish exhibitors and buyers with a commerce and trade exchange platform that has higher efficiency and quality, realize an all-win scenario, and jointly help the big health industry achieve development, transformation and upgrading. Stand booking for 2019 has already begun. Visit the exhibition website http://www.cphi-china.cn/nex/en now to register online, join the annual event of the plant extract industry, and have face-to-face exchanges with well-known enterprises.